WOW! Almost brand new in Oakley! This amazing 5 bedroom 3.5 bath home with over 3500 sq ft of living space built in 2017 has so many features you won't want to miss it! Wonderful floor plan including open kitchen w/ breakfast bar, gas stove, built microwave and walk in pantry. Full bedroom and bathroom on first level, spacious loft upstairs, separate laundry room, large master suite w/HUGE master closet, bigger than a small studio in San Francisco! The backyard is a blank slate and ready for your spring plans! Large side yard that could potentially be RV or boat parking. 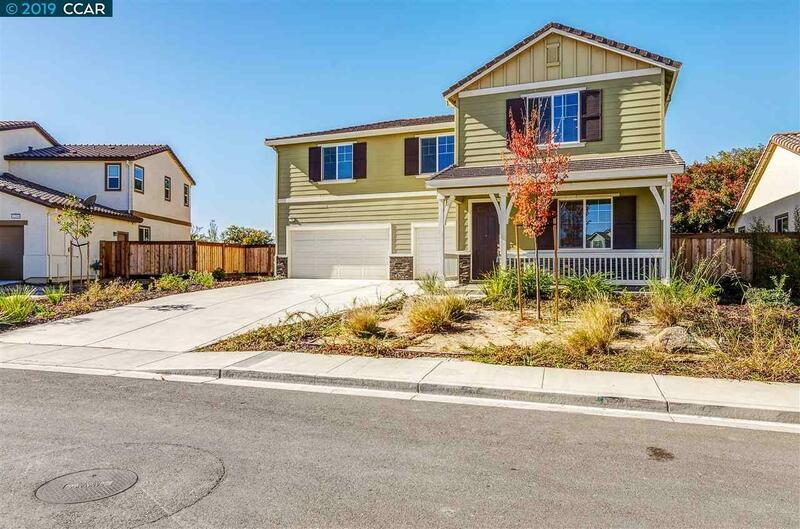 Wonderful location, short 14 minute drive to the NEW Antioch E-BART station, minutes to adorable downtown Oakley, shopping, restaurants, Delta and more!